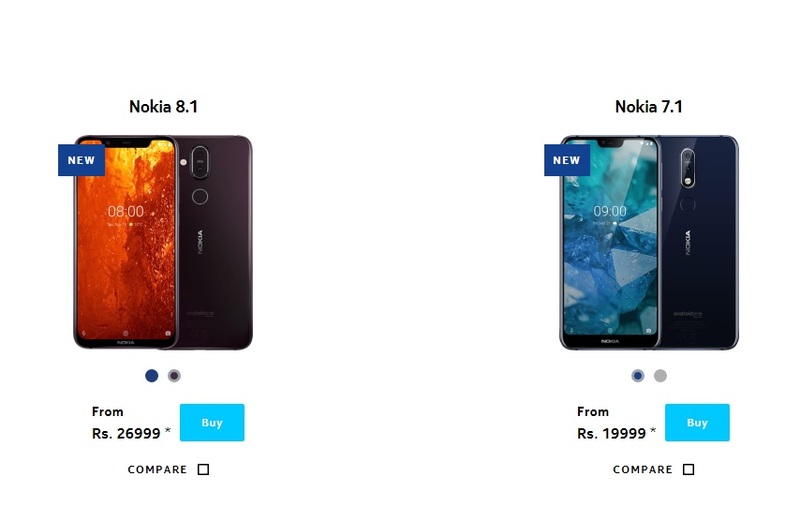 After slashing the prices of Nokia 1, Nokia 2.1 and Nokia 6.1 Plus in India, Nokiamobile slashed the prices of two new Nokia smartphones up to Rs. 3400. Nokia 8.1, or the nice improvement of Nokia 7 Pus, and Nokia 7.1 that has nice Puredisplay screen got new attractive prices you can see below. You can find these devices with new prices at Flipkart and Tata Cliq. These are great prices, especially the price of Nokia 8.1 which is approximately €90 lower in India than in Europe for example. Nokia 8.1 is an excellent smartphone and a nice improvement of the popular Nokia 7 Plus. Nokia 7.1, on the other hand, could also be a good choice for spending the next two years, but the similar specs (except camera and display) you can get for less money with Nokia 6.1 Plus. Anyway, I praise this price slashing move that HMD did in India and think it will improve the sales of those phones. Are you thinking of getting one, and which one do you prefer?